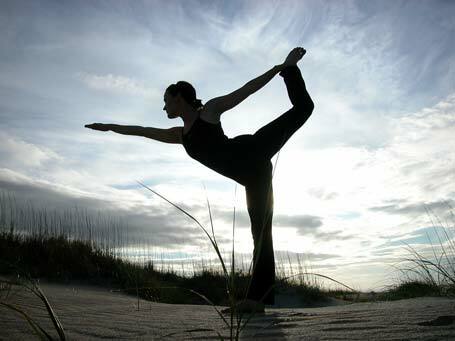 We’ve all heard about the benefits of practicing yoga: Increased strength and flexibility, and well as peace of mind. Now there’s a growing body of evidence that suggests yoga is helping for treating psychiatric disorders including depression, schizophrenia and attention-deficit hyperactivity disorder (ADHD). A systematic review published last month provides a good summary of the evidence on using yoga to treat mental health problems. The review identified 16 studies which examined yoga as a treatment for psychiatric disorders. The analysis by researchers at the Duke University School of Medicine found yoga to be effective for treating acute depression; effective as an adjunct therapy for schizophrenia (along with oral medication); calming children with ADHD; and alleviating sleep disturbances. However the results are conflicting regarding yoga’s effectiveness for treating cognitive and eating disorders. But the most important conclusion of the study was that health professionals need more information to truly understand the impact of yoga on mental health. The authors suggest conducting biomarker and neuroimaging studies – where blood tests and brain scans care measure the effects of yoga – along with studies that compare yoga to standard pharmaceutical treatments and measure the effects of yoga over the long-term. The take-home message: Yoga is a promising treatment for mental health conditions, but we need more evidence to understand the best ways to use it. I have never practiced yoga, but would like to hear more about it. In the future, I would also like to try it. I really do enjoy yoga and highly recommend it to everyone. If you haven’t tried a class …. go. It’s ok if you don’t know the difference between a sun salutation and a downward dog, your instructor will help you.